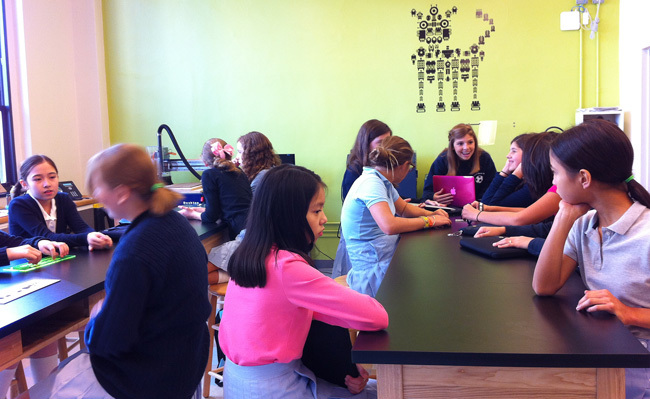 3D printers, laser cutters, CNC machines and CAD programs…this is no ordinary classroom but the Fab Lab at Marymount, an all-girls independent school in New York. Fifth-grade students Katie, Li Li and Mei are designing Egyptian Antiquities in a digital design and fabrication class led by teacher Jaymes Dec. But their enthusiasm goes far beyond the school curriculum; in their spare time the girls are busy creating animals, houses, imaginary places and gadgets. 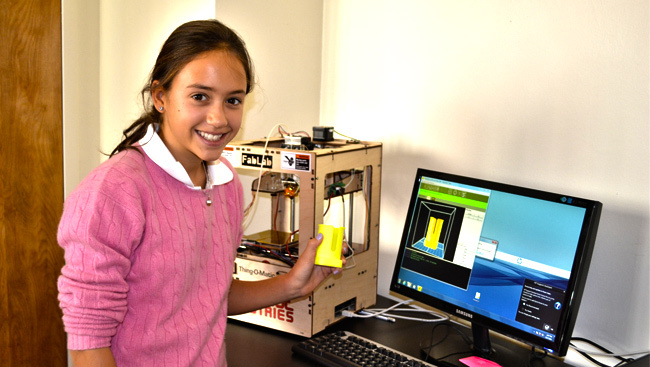 For the 5th graders 3D design and 3D printing go hand in hand. 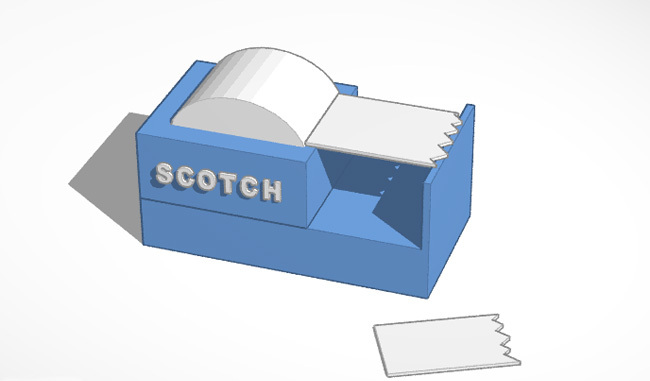 Printing the models is a great way to demonstrate what can actually be manufactured and is a good opportunity to teach technical terms like overhangs, scale and solid geometry. 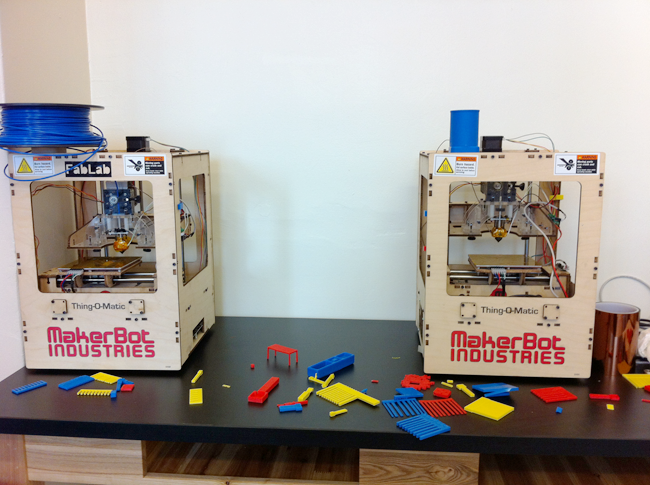 Get inspired by the great designs Li Li, Mei and Katie have done with Tinkercad. Katie created chicken’s and seal’s rightful homes. 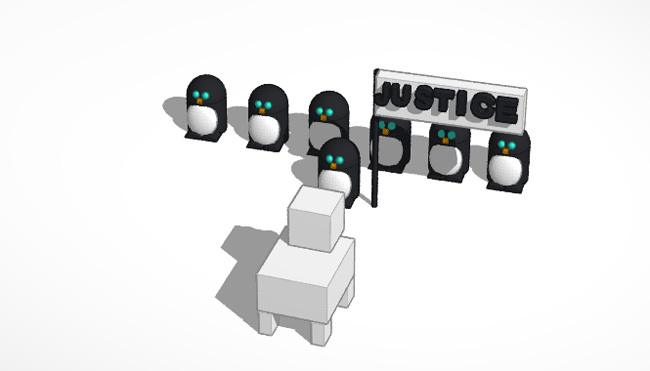 Penguin’s last stand by Li Li. Construction site and entrance to the coal mine by Mei.